The sun is out (temporarily, it'll be cloudy tomorrow), which means it's time for lazing about in the garden enjoying summer fruits in a jug of Pimms, and these new additions to the Fruity Sherbet plugs family. First off all, we have the Grapefruit Sherbet plug, with its contrasting flashes of tangy orange and leafy green over a pink translucent background. And then there's Grape Sherbet plug that sports flashes of deep blues and purples over a translucent background. Both of these new plugs are pictured upper right, posing away with the perennial favourite, Strawberry Sherbet (pink/blue/purple). 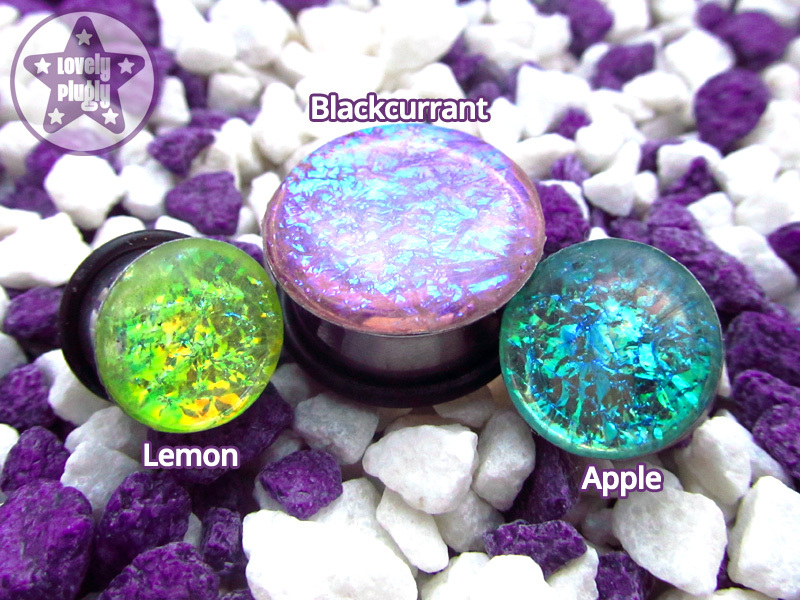 Also looking for your attention are the oldies but goodies - Apple Sherbet (clear/green/blue), Blackcurrant Sherbet (mauve/blue/teal) and the original Lemon Sherbet (yellow/green/orange) plugs, and they're all pictured over there, bottom right. 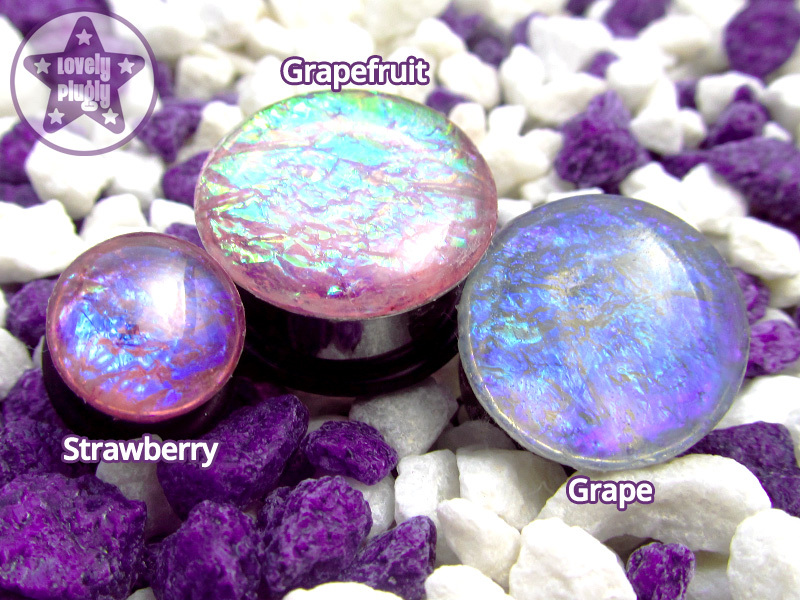 Fruity Sherbet plugs are available as made-to-order plugs here, with a choice of front types, flare types and colours, in sizes 8mm / 0g up to 20mm / ~3/4" (bigger sizes coming soon).